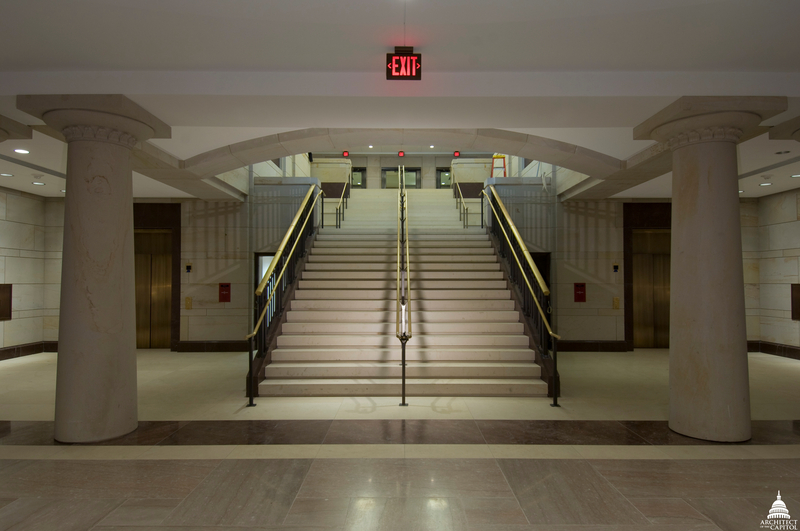 The Architect of the Capitol (AOC) works to continually improve physical access across the Capitol campus, using creative solutions to ensure the grounds and buildings provide access to all, while maintaining and preserving the historic fabric and character of Capitol Hill. While we have made great strides in accessibility over the past 25 years, there is always room for improvement. Some of our experts shared details from past projects that increased accessibility around Capitol Hill as we celebrate the 25th anniversary of the Americans with Disabilities Act (ADA) this month. In our final blog, Tom Fontana, Communications and Marketing Director at the U.S. Capitol Visitor Center shared how accessibility was built into the newest addition to the U.S. Capitol. How does the design of the Capitol Visitor Center (CVC) integrate accessibility to improve the visitor experience? 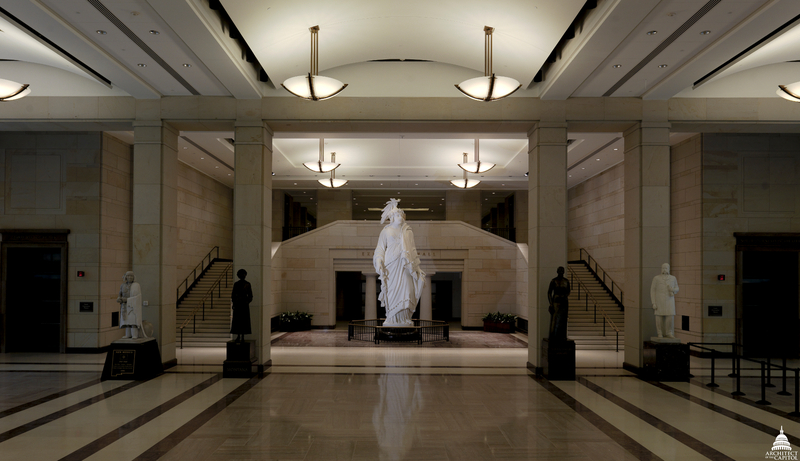 Accessibility was one of the principal drivers of the Capitol Visitor Center design. Rather than having a central bank of elevators like many modern buildings, the CVC includes 23 elevators. They have been positioned wherever visitors need to transition to a different level – at the entrance balcony, in two orientation theaters, in the transition zone between the CVC and the historic Capitol and at other locations. Elevators to the left and right of stairways. 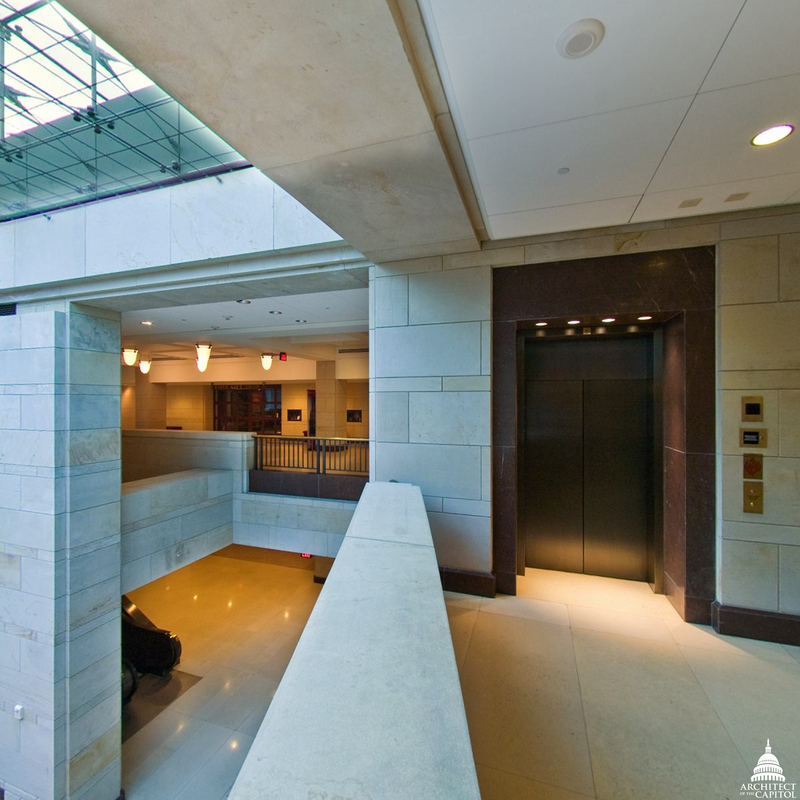 Having elevators situated throughout the Capitol Visitor Center allows persons with disabilities to remain with their groups as they transition between levels. Outside, at the Capitol Visitor Center entrance zones, fully accessible ramps sloping gently down 18 feet from the street level allow people with disabilities to enter the CVC along the same paths as pedestrians. Two outside elevators adjacent to the entrance zones accommodate people with disabilities who may be approaching the CVC entrances from the west. Overall, accessibility was a key component of the design of the Capitol Visitor Center, and we are proud to welcome visitors from all over the United States and the world in a respectful and appropriate manner. Additional stories from this three part series: ADA and Life Safety and ADA and Historic Buildings.